The Neuroscience Program is located in the Beckman Institute for Advanced Science and Technology. 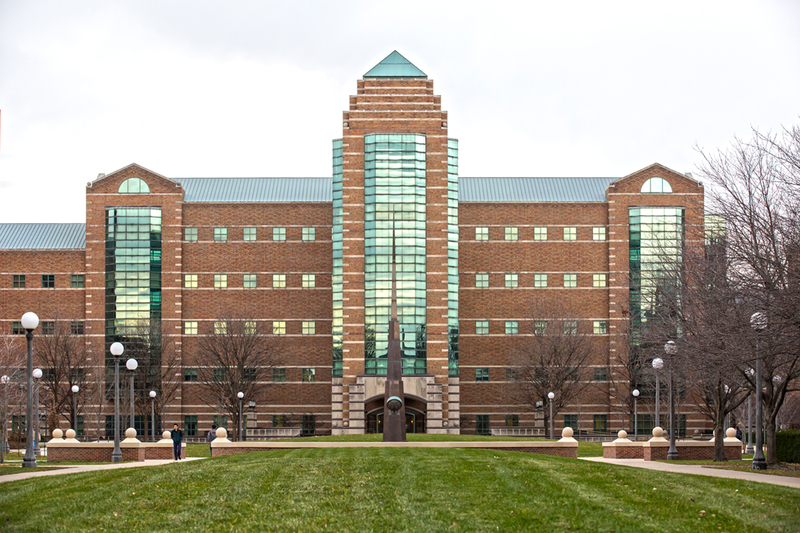 Beckman Institute, opened in 1989, is an interdisciplinary research institute devoted to leading-edge research in the physical sciences, computation, engineering, biology, behavior, cognition, and neuroscience. Its philosophy so matches that of the Neuroscience Program that it is the perfect home for the Program. MISSION: The Institute's mission is to foster interdisciplinary work of the highest quality, transcending many of the limitations inherent in traditional university organizations and structures. Here one will find researchers from Colleges across campus including Liberal Arts and Sciences; Agricultural, Consumer and Environmental Sciences; Engineering; Applied Health Sciences; and Veterinary Medicine. RESEARCH: Beckman categorizes it research into various broad themes providing a loose organizational structure. These themes are reviewed regularly to adjust as the research changes. The current themes are Integrative Imaging, Intelligent Systems, and Molecular Science and Engineering. These themes are supported by state of the art facilities including the Biomedical Imaging Center, a Microscopy Suite, and Visualization Laboratory. FELLOWSHIPS: Beckman Institute also has a Graduate Fellows Program which provides a stipend for an 11 month, 50 percent graduate research assistantship commensurate with the pay rate of the graduate student's home department. Awardees also receive funds to attend one national meeting to present the results of their research.